Hayley Lawrence’s compelling and thought-provoking #LoveOzYA debut, Inside the Tiger (Penguin Random House Australia, 2018) had my heart in a vice grip and I caught up with Hayley to find out more about her writing process and where the story came from. Hayley, thank you so much for taking the time to answer my questions! In Inside the Tiger, your protagonist Bel writes to Micah, an Australian inmate on death row in a Thai prison. I understand that the idea for the story came from your own experience writing to a prisoner on death row. Can you share a bit about how you became pen pals with a death row inmate and why you decided to write about this experience? Back when I was working as a graduate lawyer, I was looking to do some form of community service work, but I was time poor, and needed something I could do in my own time. I researched a few ideas, and thought about which groups of people are the most forgotten in our world. Prisoners came to mind, as they are often deemed the least worthy of public assistance and funding. Because of my legal background, I’ve always been fascinated by the use of the death penalty as a form of punishment, and had already researched Bang Kwang prison in Thailand where death row prisoners are housed, and the conditions are notoriously inhumane. In the course of my research, I found a website dedicated to helping foreign prisoners, and in BangKwang Central Prison alone, and there were lists of prisoners asking for letters from the outside world, care packages, or monetary assistance. So I chose a prisoner from that list, and wrote him a letter. He wrote back, and so began five years of correspondence, with me sending him care packages – things like toothpaste, soap, towels and non-perishable foods – and us exchanging news about our different worlds. I never actually intended to write a novel about my experience, but when Andrew Chan and Myuran Sukumaran’s execution was set in Indonesia, it hit me hard and took me back to my own days of writing to a death row prisoner, and visiting him in the Thai prison. So I started writing and the story for Inside the Tiger just poured out of me. Eerily, I finished my first draft the night before Andrew and Myuran were executed. Hearing of their deaths the following morning is something I’ll never forget. It was gut wrenching. Why do you think capital punishment is an important issue for YA readers? I think it’s important for YA readers to form their own ideas about justice, mercy and forgiveness. These are concepts we all come up against throughout our lives in big and small ways, and the death penalty, being one of the most extreme punishments you can receive, allows us to ask the important questions about life: who gets to determine what acts relinquish the right to exist? What is the value of mercy in a justice system and what does mercy mean? Is it something we have to earn, or is mercy a gift? Is the act of ending a human life justifiable because it’s committed by the state? How does it differ from cold-blooded murder? And what do the rest of us learn from the execution of others? Obviously, the death sentence serves as a warning to the rest of us that our lives are not free, and that our own existence can be extinguished if we commit certain crimes, but is that enough to stop the crimes from being committed? Does the death sentence actively address the desperation that fuels people to commit these crimes? And what about the impact of the punishment on the innocent family and friends who love the person sentenced to die? These are all questions worthy of examining, because prisoners are among the most vulnerable in our society by virtue of having very few rights and freedoms. Yet they’re still human beings with the same basic needs as the rest of us – for food, shelter and care. And whether or not they’re deemed worthy of those needs, if we neglect the most vulnerable people in our society, then we need to ask questions about the kind of civilisation we live in. While the manuscript deals with serious political and humanitarian issues, it also has a cast of wonderful, endearing characters. I particularly loved Bel’s friends Tash and Eli. Can you give us a bit of an introduction to your cast? Bel is your everyday girl, who lives a privileged private-school-girl existence. But beneath that, she carries an emptiness from the murder of her mother when she was a baby, and the absence of her father, who has dedicated his life to politics in the aftermath of the murder. Bel is nevertheless strong, and her best friend Tash always has her back at school. Tash is the loveable control freak in Bel’s life who keeps her on track and picks her up whenever her Dad’s political agenda causes problems at school. When Bel’s not at school, she lives at her Dad’s house, and her other best friend Eli lives next door. Eli is Bel’s quiet hero, the one who humours her when she gets too serious, but also agrees to all of her crazy plans. Bel knows he’d go to Mars with her if she wanted to go badly enough. And Eli has just returned from Thailand at a time when Bel has started writing to a prisoner in Thailand. Nineteen-year-old Micah is on death row and has never had a visitor. So Bel hatches up a plan with Eli to go to Thailand together, so that she can visit Micah, who she’s developed a bit of a crush on. The only problem is, Eli has no idea Micah exists. And neither does her father, when he agrees to let her go. The adult characters also play an important role in Inside the Tiger. I was particularly drawn to Bel’s father. In some ways he’s a very noble character, but he’s also deeply flawed, and that complicates his relationship with Bel. Can you tell us a little bit about how you developed his character and the conflict between him and Bel? I adore Bel’s father. He is deeply wounded by the murder of his young wife, who was the love of his life, but he’s allowed her death to shadow many of the lights in his life, including Bel. Inadvertently, he has neglected her in his quest to avenge the death of her mother. Bel’s father is a true idealist, who throws all his energies into making the world a better place. But all Bel sees is his neglect of her in his dogged pursuit of improving the world. Because of this, Bel has turned against politics, and their ideological differences create a lot of conflict throughout the novel. First, Bel doesn’t care enough about any causes, and when she finally takes on Micah, she begins to care too much about the *wrong* cause. One that runs completely counter to everything her father stands for. But father and daughter are all each other has left in the way of family, and despite their differences, the love and respect they have for one another runs deep. I understand you were a lawyer before turning your hand to writing. What made you decide to switch to YA? I was a lawyer, but I was always a writer first. I was writing creative stories from the age of about nine, and have kept diaries since I was seven years old, spilling my secrets into them. But everyone knows you can’t make a living as a writer! So, I decided to study law and became a lawyer. But writing was always the dream. I gave up law when my first daughter was born and we had to move around a lot. By the time my third daughter was born, I realised that if I ever wanted to become an author, I’d need to get my act together and actually finish a novel. And here I am, six years after making that decision, with Inside the Tiger in my hot little hands. Inside the Tiger was shortlisted for the The Australian/Vogel’s Literary Award and was awarded several fellowships before finding a home with Penguin Random House Australia. Can you talk us through your path to publication? Inside the Tiger was the second manuscript I completed after deciding to get serious about writing. With my first manuscript, I had a couple of publishers interested in the story, and one of those was Penguin Random House, so I’d already been working with editors, and when they decided they couldn’t publish that manuscript, they asked me to send them my next one. I had just discovered that I was unexpectedly pregnant with our fifth daughter, so I knew I would have to write furiously to get another manuscript together before she was born. I wrote Inside the Tiger at a rate of 10,000 words a week until I was exhausted and my first draft was complete. Then I spent a couple of months editing it, before sending it to my editor at Penguin Random House. She liked the story but gave me a page or two of big picture issues to incorporate. After my baby was born, I spent the next few months incorporating those changes into Inside the Tiger, and then set about submitting the manuscript to various competitions. Winning a couple of fellowships at Varuna the Writers’ House was fantastic, and being a finalist in the Vogel Prize also helped give my manuscript some visibility in the publishing world. It was at this point I got in contact with an agent from Curtis Brown, as I had four publishers looking at the manuscript, and felt I needed some assistance. Clare Forster at Curtis Brown offered me representation, and within a couple of weeks of the Vogel Prize winner being announced, she had helped me secure a contract with Penguin Random House for Inside the Tiger. It was surreal to know that after a lifetime of dreaming about being a published author, it was going to happen! In hindsight, I realise the importance of getting your work out into the public sphere and going through the screening process of literary judgement. Prizes, shortlistings and fellowships can help you stand out from the crowd and give you more credibility as a writer. And while manuscript competitions are less common than short story competitions, they are out there and worth applying for. I love the magic of the first draft when the story is still unfolding and taking surprise twists and turns. I especially love the emotive scenes that just spill onto the page almost effortlessly (though those are certainly in the minority as most of the first draft is hard work!) Probably what I love the most is recording the conversations my characters are having in my head. They often have compelling conversations with each other while I’m in the shower or driving, and I love typing out their different perspectives. What was your biggest challenge in writing Inside the Tiger? My biggest challenge was the structural edit with my editor at Penguin Random House. I began to completely doubt everything I knew about the story. And I had a definite failure complex during the structural edit. I took it chapter by chapter, and the manuscript was much better for it, but I did find that stage very daunting, despite the reassurance of my amazing editor. It required adding in entire new scenes, and scaling back others, losing subplots and conflicts and reworking the pieces of my manuscript like it was a jigsaw puzzle being rearranged. It almost required rewriting my entire ending. I love the stage of life where kids are emerging into adulthood as there is so much learning going on … not that we don’t continue to learn beyond our young adult years – oh boy, we learn. And learning hurts. But there’s something about those formative adolescent years that stays with us in our core. It’s a very heightened time when you’re caught between playing a kid and being responsible as an adult, and I love exploring that through fiction. I also remember what a huge impact my own reading of YA had on me in my teen years. The books we read when we’re young help to form the future person we grow into, and it’s an incredible privilege to be able to enter a young person’s life as an author, through a novel, and try to share a few of the tough lessons you’ve learnt and hopefully, help them to feel less alone when they mess up (because we all do!). I also know how much literature has taught me about getting through the grim parts of life … you know that part of the novel when everything is darkness and despair and you can’t see a light out of the pit? Authors show us different ways out through their own stories and resolutions, and I often apply this to my own life when times get grim. I’d like to hope that I can do that just a tiny bit for my own readers. Because as in stories, if you can get through a tough situation in life, you will emerge stronger and everything will be okay eventually. Stories give us that faith. Write what terrifies you, write from a raw, honest and real place. And finish it. You always reach a place where you feel like your entire novel is crap and the plot is terrible or the characterisation or whatever, and you want to scrap it all and start again (I’m there now with my current novel!) But you must persist. It’s just an illusion. No other novel will be easier. This is a necessary quagmire we all go through when writing a novel. And once you’ve finished that first draft, you can tighten, refine it and fix it up, but if you never finish, you have no base to work upon and will hit the same wall again with the next project. Are there any books you’d recommend for readers who enjoy Inside the Tiger? Can I say Neverland by you and Stone Girl by Eleni Hale?? Both Neverland and Stone Girl refuse to shy away from tough topics. Neverland explores a girl breaking through mental illness in an almost mystical setting and Stone Girl reveals how the foster care system produces destructive kids when they’re raised without love. I found each of these novels enthralling and enlightening. Another one that has some parallel themes to Inside the Tiger is Me Before You by Jojo Moyes, as it’s also a love story that asks questions about the ethics of ending a life. The YA novel I’m working on now, Corridor of the Wild Dogs, is about seventeen-year-old Ruby who cares for her bitter maestro mother in the depths of the forest. Her mum has warned her about men, they’re like the wild dogs, but Ruby can’t help how she feels about a boy at school. It’s only at a party, when something awful happens, that she learns her mum was right. Then Erik from her childhood returns to the forest. Healer of birds then, he now has wings of his own as a pilot. This is a boy who can fly Ruby to heights she’s never seen. And as her mum falls apart, Ruby is forced to reassess everything she thought she knew about boys, love and finding the courage to chase your dreams. Hayley Lawrence worked as a lawyer in a commercial firm in the heart of Sydney before trading city life for the coast when she married a pilot. Hayley and her husband had many adventures in the air while she worked for a small law firm on the Mid-North Coast of NSW. Hayley soon got busy having babies, five vivacious little ladies who continue to bring immense joy and utter mayhem to her life. Despite leaving legal work, she could not leave behind the stories of the people she’d encountered. They are stories that provoke questions about the nature of humanity, and it’s these questions that haunt her novels. Join Hayley for the Sydney launch of Inside the Tiger at Kinokuniya Books at 6pm on Thursday 27 September 2018. Book your place via Eventbrite. If Inside the Tiger sounds like your kind of book, take a moment to add it on Goodreads and pick up a copy at your local bookstore or library. You can also keep up to date with all Hayley’s writing news via her website: www.hayleylawrence.com.au, Facebook: Hayley Lawrence Author, Instagram and Twitter: @hayleyblawrence. 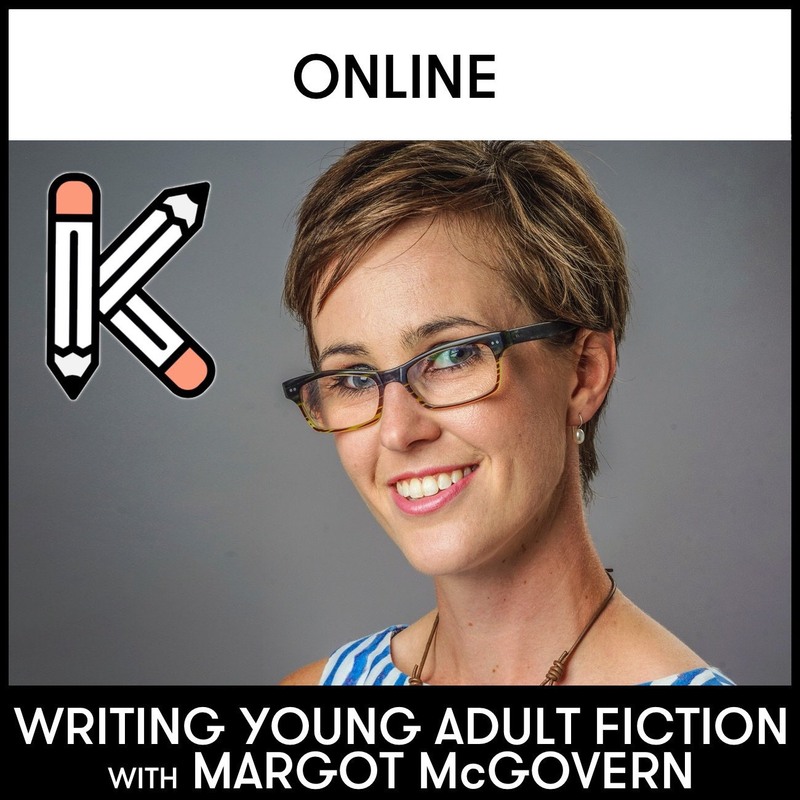 Posted in For Readers, For Writers, Interviews, Latest, Writing Tips, YA and tagged Australian YA, Hayley Lawrence, Inside the Tiger, LoveOzYA, YA author interview, YA fiction, YA literature, young adult author, Young Adult fiction. Bookmark the permalink.